Liang Schweizer is the Co-founder, President and CEO of HiFiBiO Therapeutics. Previously, she co-founded Harbour Biomed and served as its CSO, successfully transforming a technology platform company to an antibody drug discovery enterprise. 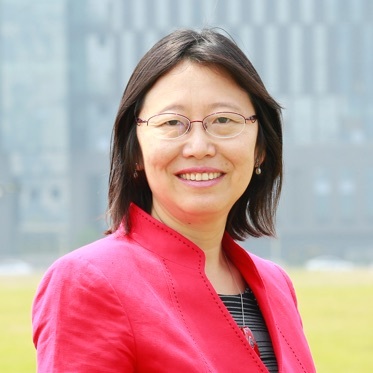 Before launching her entrepreneurial career, Liang served as Head of Asian Cancer Research at Sanofi, advancing Sanofi’s Asia-Pacific oncology pipeline as well as contributing to global oncology programs from preclinical to clinical efforts. Before joining Sanofi, Liang Schweizer was a director at Bristol-Myers Squibb Company, heading a group of scientists at Leads Discovery and Optimization (LDO), overseeing 60+ in vitro pharmacology projects across different therapeutic areas. Under her leadership, the team made significant contributions to 4 marketed drugs and impacted over 20 clinical candidates. She is also a co-inventor of multiple BMS Immunoncology (IO) clinical candidates. Liang Schweizer graduated from the University of Science and Technology of China (USTC) majoring in Biology. She received her Master’s degree in Microbial Engineering at the University of Minnesota with minor in Chemical Engineering. Liang earned her Ph.D. in Molecular Biology from the University in Zurich, Switzerland. Her postdoctoral training was with Dr. Harold Varmus, a Nobel Laureate, at Memorial Sloan Kettering Cancer Center (MSKCC), New York.